Welcome to Arkansas Storm Shelters! 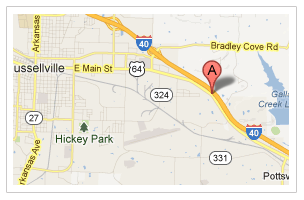 We are an Arkansas owned and operated business and have been for over 10 years. With over 3000 shelters installed we know how to take care of our customers. What this means to you, the customer, is service. We will be here for you every step of the way, from selecting a shelter to fit your needs to professional installation and service after the sale. We pride ourselves in helping customers with a pleasurable buying experience and ongoing service. Arkansas Storm Shelters is here local for you should you need us. To learn more about our storm shelters and safe rooms, please do not hesitate to contact us today. You can reach Arkansas Storm Shelters by phone at (479) 967-7233 or through our online contact form. Shelters can be placed inside your garage/carport or outdoors with an approved concrete pad to attach to. Two styles to choose from with many safty options built in. F-5 garage floor shelters are designed for new construction. These shelters can be placed anywhere in the slab area of a new construction home. Steel safe rooms have been successfully tested to withstand an EF-5 rated tornado. 6000 + psi concrete creates a smooth finish. Reinforced with rebar and fiber- mesh. A waterproofing solvent is added to the concrete mix to ensure a dry shelter. Walls are 3 inches thick and ceiling and floor are 4 inches thick. in the slab area of a new construction home. Stay out of the weather when a storm hits with a Garage Shelter.